Should this search return 'Sorry No Results Found' or there is nothing that appeals to you, please advise us 'via the quick query' message box of your requirements, properties are loaded almost every day, we wouldn't want to miss your enquiry. Thank you. The team involved in making your purchase of a dream home in Spain safe, trouble free, and cost effective have done exactly the same for hundreds of people just like you! Contact us today for an informal chat, we look forward to helping you on a fantastic journey. "Hi Rob and Jo, Just a note to say how much I am enjoying life over here. You very much helped me out, and I wanted to acknowledge that, and I have spoken with A Place in The Sun to highlight the good work that you have done. Once again, thank you very much for all your help." 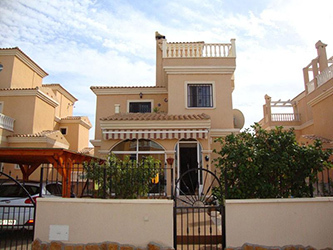 "We had such a great, very informative few days on our short trip to Spain to view properties. Your colleague took us to see a number of properties across various locations and we returned home with a lot to think about. We ended up with a number of ‘must have’ properties to choose from. We made our choice, and our absolutely delighted. Thank you so much for all of your help." "Hi Rob and Jo, thank you so much for your help and we wanted to let you know that we are using the independent legal firm that you advised, and they are (like yourselves) fantastic. We have just been for another view of our property today, and we just know we have made the right choice. It is ours now. Thank you very much once again." "I actually began my property search not really thinking I would find anything that would suit what I wanted, but the time spent working with you guys has really paid off. I am delighted to tell you that I have find my very own ‘place in Spain’ and couldn’t be happier. Thank you for all your help in organising everything, your team have been really brilliant." "Hi Joanne, just to say that we really are very satisfied with the service we have received all round, both from you and from your colleagues in Spain. Like I said before Your Place in Spain were the only people who kept in touch with us after the Manchester A Place in the Sun exhibition, and we talked with a lot of people! Thank you both very much again for all your time and effort you have put in to helping us with our search." 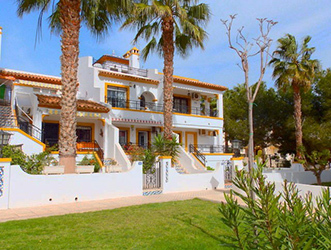 "Just a quick note to thank you for all your efforts over the last few months, you introduced us to the villa that we have now purchased, and it is ‘our place in Spain.’ All has gone really well with your colleagues that you introduced us too as well, so thank you for that. We spent 5 days in our new villa last week and we can’t wait to return. I have handed my notice in to retire, and looking forward to many happy years in our new home. Thank you all once again." What does this badge mean? Is The Rejuvenated Spanish Property Market About To Go In To Overdrive? 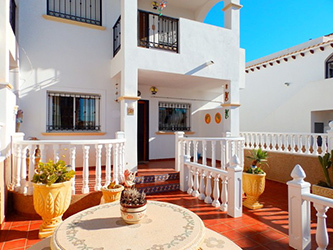 Is The Southern Costa Blanca The Place For You? 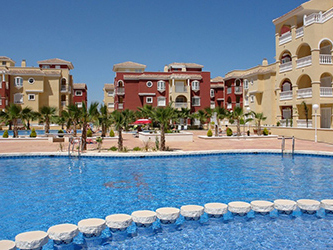 Disclaimer: Your Place in Spain Ltd take care to supply correct details on all properties displayed but do not guarantee any information about those properties.